Yummy food, fantastic family and the countdown to Christmas--Thanksgiving is one of my favorite holidays. Because of that, I'm a bit of an aficionado about how to dress for it. When it comes to Thanksgiving, a holiday known for food, it's best to keep things comfortable and loose. Stay away from the jeans that will dig into the skin and don't be afraid to wear leggings as pants, nobody is going to judge you. But, can comfortable be cute? Absolutely, and I'm going to share 4 comfortable and cute Thanksgiving ready outfits! 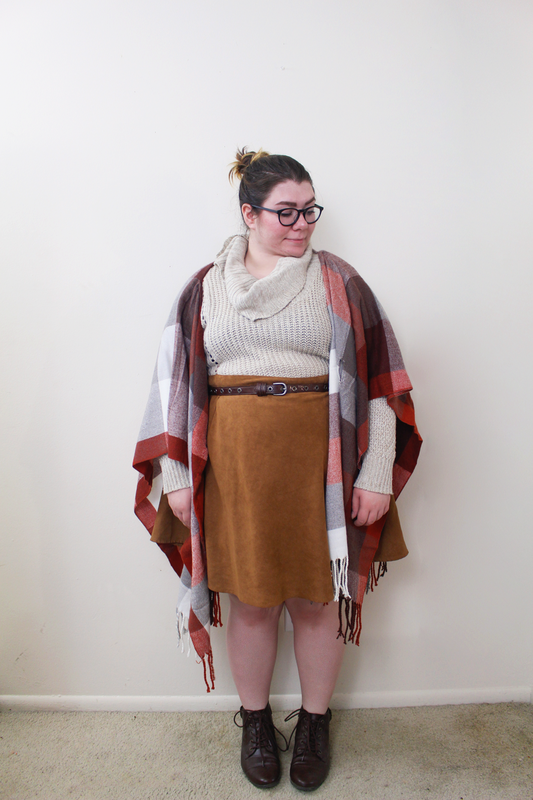 A loose, non restricting dress, like this one from Forever 21, and a blanket scarf bring in the dressed up vibe for Thanksgving, but are still comfy and casaul enough that you can hang out in the kitchen or on the couch without being uncomfortable. Keeping with the comfy and casual theme, jeans are integral piece on Thanksgiving. 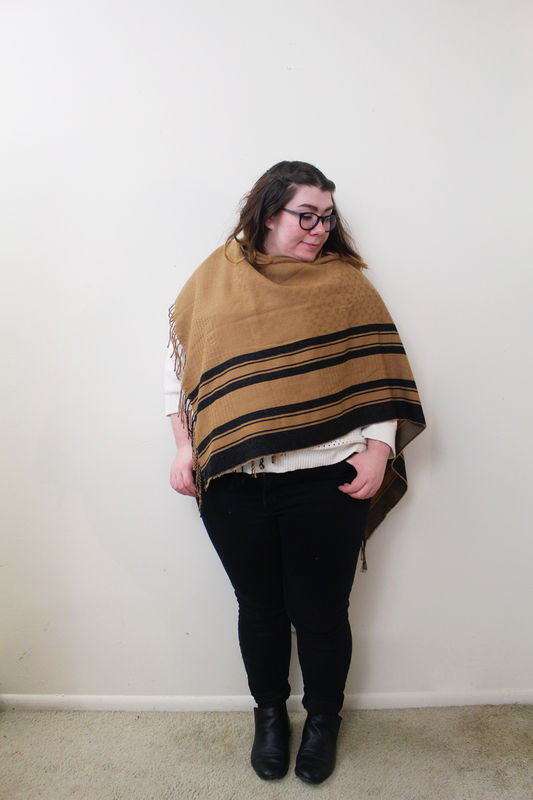 Going with an all black pair, like these from Old Navy, makes the jeans look a little more dressy, and draping the scarf over your shoulders is comfortable and nonitrusive. What would Thanksgiving be without a little drama? 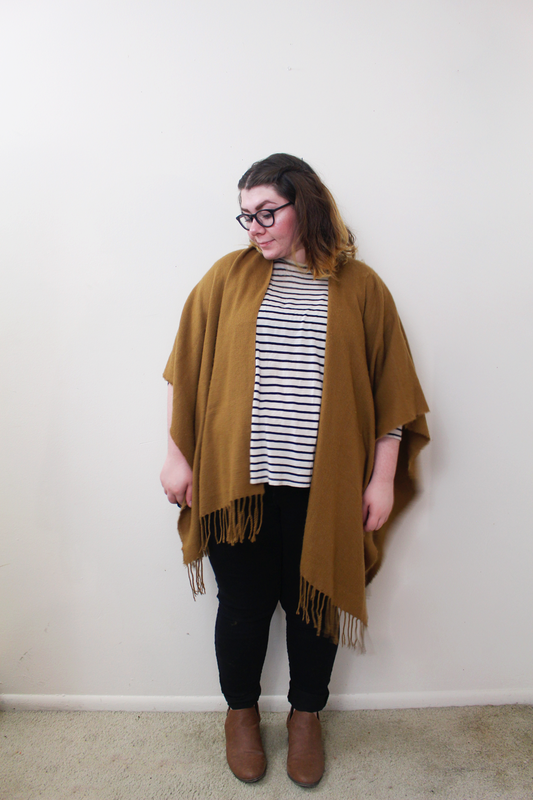 You don't have to be uncomfortable to be dramatically cute on Turkey Day, so add a poncho to a basic outfit for some added Autumnal vibes. This homemae poncho over the loose cowlneck sweater and modest suede skirt is bound to keep you warm, comfy and cute the entire night long. Do you like to be comfy and cute on Thanksgiving, or do you prefer to be glam? Let me see your Thanksgiving outfit!